After applying Globetrotter to the world and to the British, a new study in Current Biology applies to the intermediately-sized region of West Eurasia. This is an open-access article, so go ahead and read it. George B.J. Busby et al. Over the past few years, studies of DNA isolated from human fossils and archaeological remains have generated considerable novel insight into the history of our species. Several landmark papers have described the genomes of ancient humans across West Eurasia, demonstrating the presence of large-scale, dynamic population movements over the last 10,000 years, such that ancestry across present-day populations is likely to be a mixture of several ancient groups [ 1–7 ]. 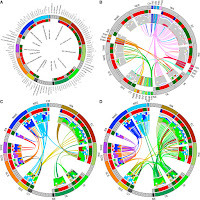 While these efforts are bringing the details of West Eurasian prehistory into increasing focus, studies aimed at understanding the processes behind the generation of the current West Eurasian genetic landscape have been limited by the number of populations sampled or have been either too regional or global in their outlook [ 8–11 ]. 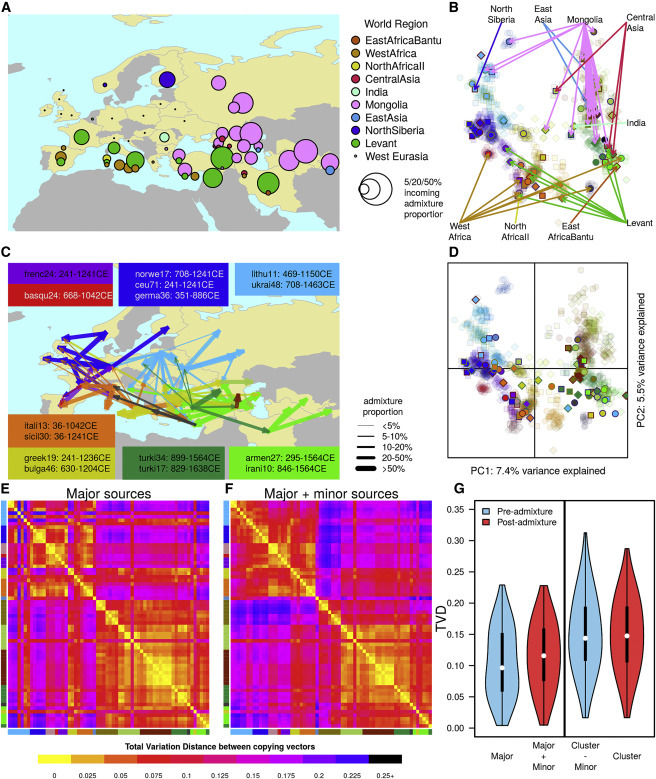 Here, using recently described haplotype-based techniques [ 11 ], we present the results of a systematic survey of recent admixture history across Western Eurasia and show that admixture is a universal property across almost all groups. 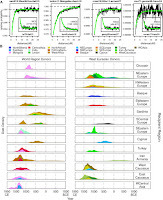 Admixture in all regions except North Western Europe involved the influx of genetic material from outside of West Eurasia, which we date to specific time periods. Within Northern, Western, and Central Europe, admixture tended to occur between local groups during the period 300 to 1200 CE. 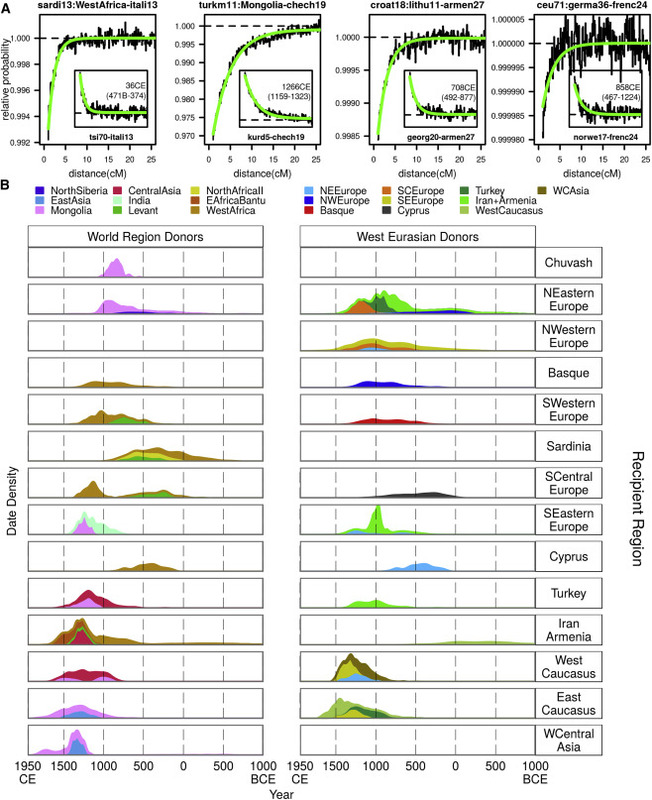 Comparisons of the genetic profiles of West Eurasians before and after admixture show that population movements within the last 1,500 years are likely to have maintained differentiation among groups. 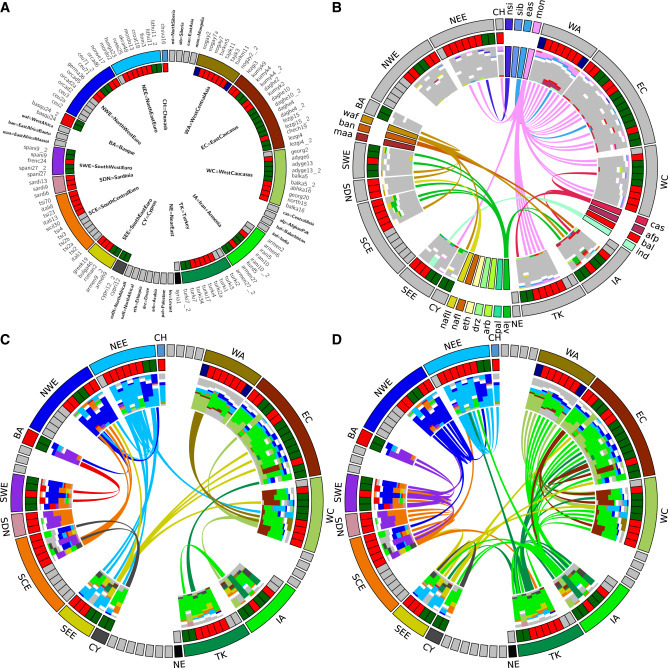 Our analysis provides a timeline of the gene flow events that have generated the contemporary genetic landscape of West Eurasia. Psychologists have demonstrated the value of diversity – particularly diversity of viewpoints – for enhancing creativity, discovery, and problem solving. But one key type of viewpoint diversity is lacking in academic psychology in general and social psychology in particular: political diversity. This article reviews the available evidence and finds support for four claims: (1) Academic psychology once had considerable political diversity, but has lost nearly all of it in the last 50 years. (2) This lack of political diversity can undermine the validity of social psychological science via mechanisms such as the embedding of liberal values into research questions and methods, steering researchers away from important but politically unpalatable research topics, and producing conclusions that mischaracterize liberals and conservatives alike. (3) Increased political diversity would improve social psychological science by reducing the impact of bias mechanisms such as confirmation bias, and by empowering dissenting minorities to improve the quality of the majority's thinking. (4) The underrepresentation of non-liberals in social psychology is most likely due to a combination of self-selection, hostile climate, and discrimination. We close with recommendations for increasing political diversity in social psychology.